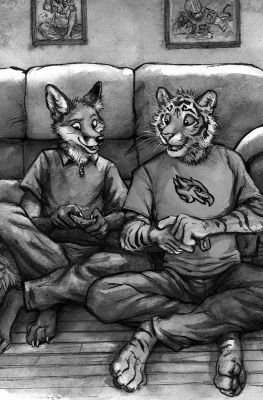 Football season is over, and in the wake of a tumultuous year, Lee and Dev decide to take this quiet time to think about their relationship. But as their friends and family draw the couple into their own issues, the offseason becomes anything but quiet. 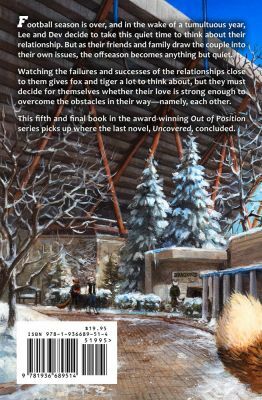 Watching the failures and successes of the relationships close to them gives fox and tiger a lot to think about, but they must decide for themselves whether their love is strong enough to overcome the obstacles in their way—namely, each other. This is the fifth volume of Dev and Lee's story which began in Out of Position and continued in Isolation Play, Divisions and Uncovered. Cover and interior illustrations are by Rukis and Kenket. This is the soft cover edition.